"Let's get one thing out of the way right at the beginning. 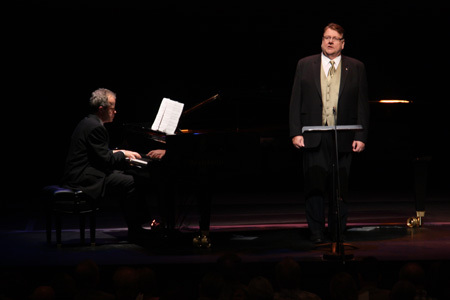 Yes, Ben Heppner had a few problems in the second part of his recital at the Four Seasons Centre yesterday afternoon, but I can't tell you how moved and honoured I was to have this magnificent artist and his wonderful accompanist John Hess finally on our stage. Thinking about yesterday's program I wish there were more singers today like him with such uncompromising artistry, profound insight and, above all, humanity."